The Lucky Lab Beer Hall Announces Their Annual Barleywine and Big Beer Tastival for 2013. The Lucky Lab Barleywine and Big Beer Tastival is being held on March 8th and 9th this year! Barleywines tend to be an uncommon beer style due to the high cost of brewing and cellar space. 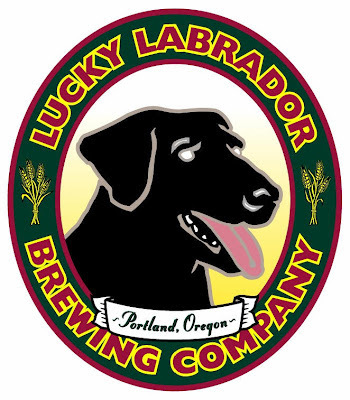 Over the years the Lucky Lab has been collecting, storing and cellaring a variety of strong beers for your enjoyment. This event will focus on barleywines as well as rare big beers. The selection will include current and vintage barleywines to showcase how the beer can develop over time. While these beers may be enjoyed fresh, the aging process can soften and meld the flavors. Barleywines have a complex flavor profile, which typically ranges from sweet toffee to piney caramel, but can also include so much more. The best way to sample several amazing barleywines is to attend the Barleywine and Big Beer Tastival. This year’s highlights include multiple years of Lucky Lab Old Yeller, Northcoast Old Stock, Anchor Old Foghorn, Mikkeller Big Worse and special scheduled tappings of 2008 Alaskan Barleywine, Block 15 Hypnosis and more. Follow @LLBarleywine on Twitter for tapping times, which will be announced closer to the Tastival. Lucky Lab Beer Hall is conveniently located near the Portland Streetcar, bus line #77 and #15. Cash is encouraged and credit cards are accepted. The regular Lucky Lab Beer Hall menu will be available. 1 ticket = 4 oz.